When Hillary Clinton worked for the Rose Law Firm while they represented the WTI company. She also served on the board of LaFarge Cement, which operates a cement kiln in Alpena, Michigan on Lake Huron. LaFarge switched from natural gas to burning hazardous wastes (used motor oil, solvents) in the mid-1980s. Clinton's Region 3 [mid-atlantic] EPA Administrator - Peter Kostmayer, a democratic Congressman from Pennsylvania who lost his seat in 1992 (he'd introduced legislation to ban new incinerators) - was fired for opposing the Environmental Impact Statement for the proposed $1.5 billion 118 mile "Corridor H" superhighway through the mountains of West Virginia and the water discharge permit for the Parsons & Whittemore paper pulp mill in Apple Grove, WV, on the Ohio River (the mill would be the largest in the country, and would dump dioxin into the river). West Virginia Governor Gaston Caperton and Senators Byrd and Rockefeller complained to Clinton (the paper mill contributed to West Virginia politicians and to the Democratic National Committee), who complained to EPA Administrator Carol Browner, who fired Kostmayer. Perhaps Bill Clinton could have urged neighbors of the WTI incinerator not to inhale. WTI was turned on March 8, 1993 (when Gore was Vice President and his assistant Carol Browner was director of the Environmental Protection Agency) and continues to operate to this day. This writer (Mark Robinowitz) was part of this protest, somewhere underneath the scrum of TV cameras. A fun time was had by all. The truck was arranged by Greenpeace. The large environmental groups ignored WTI and stayed loyal to the Clintons, then Gore (2000), now the Clintons again (2016). Apparently pollution is good when Democrats are in ostensible control. Waste Technologies Industries (WTI), a hazardous waste incinerator in East Liverpool, Ohio, has long been opposed by members of the local community concerned about air pollution. In the 1980s, Clinton was a partner in the Rose Law Firm (of Whitewater fame), which represented WTI. Alonzo Spencer, president of Save Our County, a grassroots organization that has fought the East Liverpool incinerator, recalls that the facility was originally proposed as a power plant, though the electricity generation component was later scrapped. In 1993, WTI East Liverpool failed its test burn by emitting high levels of carbon tetrachloride, a carcinogen, and "emitting three times as much mercury as allowable," according to Rachel's Hazardous Waste News. In 1993, a federal judge, Ann Aldrich, wrote in her opinion that the facility "may cause imminent and substantial endangerment to health and the environment." In 2011, the Environmental Protection Agency (EPA) fined WTI (now Heritage) $50,000 for violating the Clean Air Act, and the facility has also been fined for ash violations. Overall, at least 200 toxic incidents have occurred at WTI, according to a May 2015 news report by WKBN. The Ohio Citizen reported that a state health study found that local elementary schoolchildren had increased levels of mercury in their urine compared to levels measured before the facility's operation. The WTI incinerator sits roughly 800 feet behind the house of Sandy Estelle, a "very strong" Democrat who has traveled to Washington, DC, to protest the facility many times over the years, on behalf of Save Our County. "[Clinton] was involved with this," Estelle said. "Her law firm helped put this company here." It would benefit Clinton's campaign, Estelle added, if the candidate would "at least make the effort to say that we understand your concerns, and will look into this, and see what we can do." "if you had seen a Clinton-Gore administration in the past four years, you would not have seen this." I am excited about this award, not just for personal reasons, but because I believe it vindicates the efforts of thousands and thousands of grass-roots activists in this country, and around the world, who work on environmental issues on a daily basis. I am not a scientist or a Ph.D. I am a nurse and a housewife, but my most important credential is that I am a mother. In 1982, I was pregnant with our one and only child. That's when I first learned of plans to build one of the world's largest toxic waste incinerators in my community. When they began site preparation to begin building the incinerator in 1990, my life changed forever. I'd like to share with you some of the lessons I have learned from my experiences over the past seven years. One of the main lessons I have learned from the WTI experience is that we are losing our democracy. How have I come to this sad realization? Democracy is defined by Merriam Webster as "government by the people, especially rule of the majority," and "the common people constituting the source of political authority." The definition of democracy no longer fits with the reality of what is happening in East Liverpool, Ohio. For one thing, it is on the record that the majority of people in the Ohio Valley do not want the WTI hazardous waste incinerator in their area, and they have been opposed to the project from its inception. Some of our elected officials have tried to help us, but the forces arrayed against us have been stronger than we or they had imagined. Public concerns and protests have been smothered with meaningless public hearings, voodoo risk assessment and slick legal maneuvering. Government agencies that were set up to protect public health and the environment only do their job if it does not conflict with corporate interests. Our current reality is that we live in a "wealthocracy" big money simply gets what it wants. In this wealthocracy, we see three dynamics at play: corporations versus the planet, the government versus the people, and corporate consultants or "experts" versus common sense. In the case of WTI, we have seen all three. The second lesson I have learned ties directly to the first, and that is that corporations can control the highest office in the land. When Bill Clinton and Al Gore came to the Ohio Valley, they called the siting of the WTI hazardous waste incinerator next door to a 400 student elementary school, in the middle of an impoverished Appalachian neighborhood, immediately on the bank of the Ohio River in a flood plain an "UNBELIEVABLE IDEA." They said we ought to have control over where these things are located. They even went so far as to say they would stop it. But then they didn't! What has been revealed in all this is that there are forces running this country that are far more powerful than the President and the Vice President. This country trumpets to the world how democratic it is, but it's funny that I come from a community that our President dare not visit because he cannot witness first hand the injustice which he has allowed in the interest of a multinational corporation, Von Roll of Switzerland. And the Union Bank of Switzerland. And Jackson Stephens, a private investment banker from Arkansas. These forces are far more relevant to our little town than the President of the United States! And he is the one who made it that way. He has chosen that path. We didn't choose it for him. We begged him to come to East Liverpool, but he refused. We begged the head of EPA to come, but she refused. She hides behind the clever maneuvering of lawyers and consultants who obscure the dangers of the reckless siting of this facility with theoretical risk assessments. I always thought of the President of the United States as an all-powerful person, who could even, if necessary, launch a war to protect his nation's people. But in the case of WTI, we have this peculiar situation where the President dare not come to East Liverpool, Ohio. It may be the one place in the whole of this country, maybe even the world, where he cannot go. He cannot go to East Liverpool to see for himself what he has allowed. He cannot go to East Liverpool to see with his own eyes where this incinerator is operating. We know that if he came to East Liverpool to see it for himself, he would not be able to say that it is okay. We know that he would never have allowed his own daughter, Chelsea, to go to school in the shadow of this toxic waste incinerator. And that's precisely why he dare not come to East Liverpool. He knows that it is wrong. He knows that it is unacceptable. The decision to build the incinerator there was political, and the decision to allow it to operate, despite the stupidity of its location, is political. The buck stops with President Clinton. No child should have to go to school 1,000 feet from a hazardous waste facility, and no president should allow it. He cannot shove off the responsibility to a bureaucracy. I believe you cannot have power without responsibility. The third thing that I have learned from this situation, which ties in with the first two, is that we have to reappraise what expertise is and who qualifies as an expert. There are two kinds of experts. There are the experts who are working in the corporate interest, who often serve to obscure the obvious and challenge common sense; and there are experts and non-experts who are working in the public interest. From my experience, I am distrusting more and more the professional experts, not because they are not clever, but because they do not ask the right questions. And that's the difference between being clever and being wise. Einstein said, "A clever person solves a problem; a wise person avoids it." This lesson is extremely relevant to the nation, and to other countries as well, especially in developing economies. We have learned that the difference between being clever and being wise is the difference between working at the front end of the problem or working at the back end. Government that truly represents the best interest of its people must not be seduced by corporations that work at the back end of the problem with chemicals, pesticides, incinerators, air pollution control equipment, etc. The corporate value system is threatening our health, our planet and our very existence. As my good friend, Dr. Paul Connett, says "WE ARE LIVING ON THIS PLANET AS IF WE HAD ANOTHER ONE TO GO TO." We have to change the way we look at the world. We must change our thinking and our attitude. This is so important. We MUST change the value system. We have to live on this planet assuming that we do not have another one to go to! We must get to the front end of problems so that we avoid the mistakes of the past. Thinking about our planet in this way puts a whole new perspective on what we do and how we act. For example, if we are dealing with issues of agriculture, we need to be thinking about sustainable agriculture with low chemical input. If we are looking at energy, we need to look at solar energy, energy that is sustainable. If we are discussing transportation, we should be looking at ways of designing cities to avoid the use of cars. And when it comes to hazardous waste, we should [be] talking about clean production, not siting new incinerators. We should be trying to get ahead of the curve. People at the grass-roots level get taught this lesson the hard way they get poisoned by back-end thinking. They learn that we have to shift to front-end solutions if we are to save our communities and our planet. Citizens who are working in this arena people who are battling to stop new dump sites or incinerator proposals, people who are risking their lives to prevent the destruction of rainforests or working to ban the industrial uses of chlorine and PVC plastics are often labeled obstructionists and anti-progress. But we actually represent progress not technological progress, but social progress. We have become the real experts, not because of our title or the university we attended, but because we have been threatened and we have a different way of seeing the world. We know what is at stake. We have been forced to educate ourselves, and the final exam represents our children's future. We know we have to ace the test because when it comes to our children, we cannot afford to fail. Because of this, we approach the problem with common sense and with passion. We don't buy into the notion that all it takes is better regulations and standards, better air pollution control devices and more bells and whistles. We don't believe that technology will solve all of our problems. We know that we must get to the front end of the problems, and that prevention is what is needed. We are leading the way to survival in the 21st century. Our planet cannot sustain a "throw-away society." In order to survive, we have to be wise, not just clever. This is why, ultimately, it is so disastrous that there are people who think that they've solved the WTI problem with more technology. You cannot patch up an injustice an unjust situation with technology. The developers behind WTI made a fundamental mistake in the beginning by building the incinerator next door to an elementary school and in the middle of a neighborhood. This is a violation of human rights and common decency. As Martin Luther King said, "INJUSTICE ANYWHERE IS INJUSTICE EVERYWHERE." Even after seeing so much abuse of the system that I have believed in, I still hold on to the slender hope that my government could once again return to representing citizens like me rather than rapacious corporate interests. If they do, then perhaps there is a future for our species; if they don't, we are doomed. Excerpts from an interview with Terri Swearingen, of Chester WV, 1997 winner of the Goldman Prize, the environmental equivalent of the Nobel Prize. Earlier this week, Vice-President-elect Al Gore weighed in heavily on the side of citizens fighting the WTI incinerator in East Liverpool, Ohio. On Monday Mr. Gore announced that he and 5 other senators have asked the General Accounting Office (GAO)--an investigative arm of the Congress--to make a thorough examination of WTI, to answer nagging questions about the safety of its huge incinerator, and about the illegality of permits it received from the Bush-Quayle EPA [U.S. Environmental Protection Agency] for construction and operation. (See RHWN #287.) Mr. Gore said the new Clinton-Gore administration will not give WTI a test burn permit until all questions have been satisfactorily answered. .... In the case of WTI, there were several compelling reasons that EPA could have used to deny WTI a permit for commercial operation. 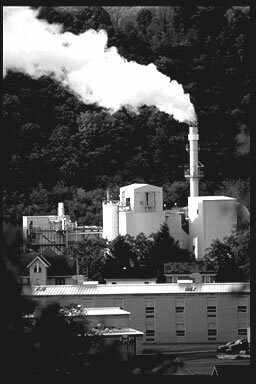 The East Liverpool incinerator failed two parts of its test burn--it failed to destroy carbon tetrachloride (a known human carcinogen) with the required 99.99 percent efficiency, and it emitted more than three times as much mercury as is allowable into the local community during the test burn. Despite these documented failures, EPA has allowed WTI to begin commercial operation. Remember your basic physics lesson - that matter can neither be created nor destroyed. WTI is saying it's taking toxic waste from other facilities and destroying it. Whenever they do burn waste, it's not really destroyed - it's reduced to ash in a more concentrated form. All this dangerous dioxin is coming out of the stack. So the government says, "You have to reduce your dioxin emissions? How do they do that? By putting pollution control devices on the machinery. But the dioxin has to go somewhere, so it ends up in the ash. So you're not really reducing the pollution, you're shifting it to another place. People have to understand that. In a lot of cases, it has changed to something more toxic than what was put into the incinerator to be destroyed in the first place. Plus you have all this ash, where roughly 50 percent of what's brought in has to be hauled off site and deposited in a toxic waste landfill. It's got all of these heavy metals, including everything all those devices pulled out of the air. OPPONENTS OF A HAZARDOUS WASTE INCINERATOR on the Ohio River believed they had cause for celebration when Vice President-elect Al Gore vowed in December that the Clinton administration would block its operation, requesting a General Accounting Office (GAO) investigation of the facility. Yet the incinerator began a test burn on March 8, and President Bill Clinton announced that he will not oppose commercial operation of the East Liverpool, Ohio plant. Throughout the Clinton-Gore campaign, the ticket had made significant statements in opposition to the incinerator. In response to questions posed to presidential candidates by the League of Conservation Voters in December 1991, Clinton said, "I am in support of a moratorium on the construction of new garbage and hazardous waste incinerators." And on July 19, in Weirton, West Virginia, a stop on Clinton's first post-convention bus tour, Gore said that the Ohio incinerator was "deserving of a full-scale investigation," claiming, "if you had seen a Clinton-Gore administration in the past four years, you would not have seen this." News: Our "Earth in the Balance" Vice President is unable--or unwilling--to stop even as dangerous a project as the Ohio incinerator. A YEAR AGO, many people in the Ohio Valley figured they had good reason to celebrate. The man just elected vice president of the United States had run as a critic of the massive toxic-waste burner threatening to spew hazardous chemicals into the Ohio town of East Liverpool and outlying areas. Campaigning in the region, Al Gore - the author of the pro-environment book "Earth in the Balance" - had denounced the incinerator. So had Bill Clinton. The Waste Technologies Industries plant - one of the largest-capacity toxic-waste burners anywhere - was set to operate in a residential area just a few hundred yards from an elementary school. WTI would emit large quantities of lead and mercury (substances destructive to young nervous systems), and poisons such as dioxin. Widely hailed as the greenest national candidate, Al Gore used the WTI issue to appeal for environmental votes last fall. But two months after he became vice president, Gore began to hedge - speaking of federal obligations to WTI's investors. The Clinton administration could have nullified WTI's test permit right after Inauguration Day. Instead, in mid-March, the Environmental Protection Agency announced that it would not bar the toxic burner's opening. WTI is now operating alongside the upper Ohio River, with grim implications for public health. As journalist Liane Clorfene-Casten wrote in The Nation magazine: "Any release from the site, whether as a result of accident, explosion or misconduct, will likely wind up in the river - a source of drinking water for millions living in towns down-river." Even WTI's routine toxic emissions are endangering the food chain - especially cattle and milk in the area. The facility has already violated federal EPA regulations, including limits on mercury releases. After Clinton and Gore made so much noise opposing the WTI incinerator in 1992, why the turnaround? That question has not been addressed by national news outlets. Part of the untold story involves a financier named Jackson Stephens, who got into the toxic-incinerator business in 1980 when he founded WTI - and went on to arrange financing for the East Liverpool project. Though he sold his share of the company 10 years later, his reputation is riding on the WTI facility. Truly bipartisan, Stephens donated $ 100,000 to the Republican Party in 1988. He raised the same amount for Bill Clinton in 1992. In fact, Jackson Stephens - the chair of the huge Stephens Inc. investment banking firm based in Little Rock - was a major underwriter of Clinton's presidential candidacy. As The Nation reported in its Sept. 27 issue, Stephens "extended a $ 3.5 million line of credit to his campaign through the Worthen Bank, which is partly owned by the Stephens family. The Clinton campaign deposited up to $ 55 million in federal election funds in this bank." The magazine added: "The conflicts of interest don't stop there. The man now ultimately responsible for EPA decisions on WTI is Deputy Administrator Robert Sussman, a law school classmate of Bill and Hillary Clinton. Sussman previously acted as legal counsel to the Chemical Manufacturing Association, at a time when two of its biggest clients, Du Pont and BASF, were negotiating contracts to supply two-thirds of the waste to WTI." A computerized search of major U.S. newspapers reveals little focus on those conflicts of interest - except in The Cleveland Plain Dealer. Four months ago, for instance, The Plain Dealer reported that plant opponents "cited Sussman's appointment to the EPA through the influence of first lady Hillary Rodham Clinton, whose former law firm represented the original founder of Waste Technologies." News coverage was profuse last spring when the federal EPA announced an 18-month moratorium on new incinerators for hazardous wastes. But "the freeze," riddled with loopholes, has not caused the EPA to revoke or deny a single permit. These days, the green luster is fading from Al Gore and his boss. Pointing to retreats on Northwest forests, wetlands, the Everglades, energy taxes and auto-efficiency standards, the Greenwire news service noted recently: "Those most alarmed by Clinton-Gore policy these days may be the enviros." One of the alarmed activists is Terri Swearingen, a registered nurse who lives in West Virginia just across the Ohio River from WTI. Outraged at Al Gore's betrayal, Swearingen is organizing a mass return of "Earth in the Balance" to its best-selling author. She asks readers to send her the book for forwarding en masse to Vice President Gore. It's a unique way of communicating to an elected official guilty of hypocrisy: Throw the book at him. Eight years ago vice-president elect Al Gore made a promise. He promised to shut down the WTI, no not the WTO, Al Gore was pledging to put an end to the WTI - the Waste Technologies Industries which is the world's largest incinerator. Eight years on, local residents are still battling to have the toxic incinerator in East Liverpool, Ohio shutdown. The incinerator burns hazardous waste next to an elementary school and serious questions have been raised about the excessive emissions of dioxins which is pumping lead and mercury into the air. The WTI incinerator burns about 70,000 tons of hazardous waste each year. This time around, Sierra Club endorsed Al Gore, is making no more promises to end this environmental and public health threat. Terry Sweringen, a nurse from West Virginia who lives 2 miles from the incinerator and has been arrested nine times for protesting the incinerator at the White House, in East Liverpool and other places. IN DECEMBER 1992, Vice-President-elect Al Gore promised that one of the world’s largest incinerators, the one built by Waste Technology Industries in East Liverpool, Ohio, would not be permitted to operate until a full investigation of the facility had been completed. Then, earlier this year, Al Gore and his boss, Bill Clinton, decided to conduct the study, but broke Al’s promise and allowed the incinerator to operate while the study was in progress. 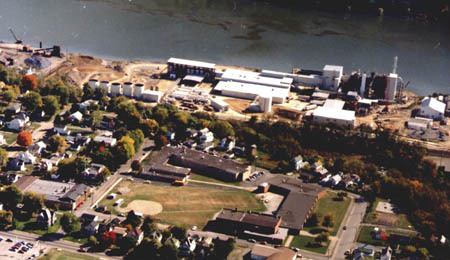 The incinerator, which is permitted to emit lead, mercury and hundreds of other compounds, is located only 400 yards from an elementary school. "The WTI facility is the worst siting decision I have seen in my 25 years of practice in public health," said public health expert Dr. David Ozonoff. "Locating a major hazardous waste incinerator 300 feet from the nearest residence and 1,100 feet from an elementary school with 400 children amounts to administrative incompetence if not malfeasance of office and does violence to common sense." "It is a matter of fact that the likelihood of an accident resulting in a sudden release of toxic fumes into the atmosphere is high," Ozonoff said. "This carries a high potential for genuine and overwhelming catastrophe." Despite herculean citizen protests, legal challenges from surrounding state governments (the facility sits on the border of Pennsylvania, Ohio and West Virginia) and Al Gore’s promises, one of the most dangerous incinerators in the country is up, running and polluting. Why did Al Gore break his promise not to allow the incinerator to operate until a full investigation had been completed? One reason may be two men named Jackson Stephens and Robert Sussman. Stephens is chair of Stephens Inc., a giant Little Rock-based investment firm. He was a major underwriter of Bill Clinton’s presidential campaign. 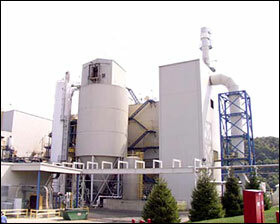 Stephens Inc. was one of the original partners in the company that developed the East Liverpool incinerator. Earlier this year, the Nation magazine reported that Stephens "extended a $3.5 million line of credit to [Clinton’s] campaign through the Worthen Bank, which is partly owned by the Stephens family. The Clinton campaign deposited up to $55 million in federal election funds in this bank." "The man now ultimately responsible for EPA decisions on WTI is Deputy Administrator Robert Sussman, a law school classmate of Bill and Hillary Clinton," the Nation reported. "Sussman previously acted as legal counsel to the Chemical Manufacturers Association, at a time when two of its biggest clients, DuPont and BASF , were negotiating contracts to supply two-thirds of the waste to WTI." Terri Swearingen, a registered nurse who lives in West Virginia, just across the border from the WTI facility, is justifiably outraged by Al Gore’s betrayal. She has led the fight to shut down the WTI incinerator. She believes the incinerator is illegal and unsafe. Observers called it the most ingenious protest they had ever seen. At noon on Monday, May 17. in Washington, D.C., a yellow truck pulled up outside the White House on Pennsylvania Avenue and stopped in the middle of the street. Within a minute, a metal stack had been erected on the top of the truck and 50 protestors had handcuffed themselves together around it, some to the axle underneath, others with their hands thrust through the sides of the truck, literally, then cuffed to blocks of concrete. The protestors blocked traffic for six hours that afternoon while D.C. police tried to extricate them from their mobile fortress. As smoke rose from the stack of the mock toxic waste incinerator, other protestors on the sidewalk erected a banner facing the White House that read "You promised" and chanted, "If you can't stop WTl, how on earth can you save the planet?" WTI (Waste Technologies Industries), the nation's newest toxic waste incinerator, began operating this year in East Liverpool, 30 miles upwind from Pittsburgh. The 50 arrested protestors included actor Martin Sheen (whose mother-in-law lives in northeastern Ohio) and residents of the community surrounding the Ohio River valley town. 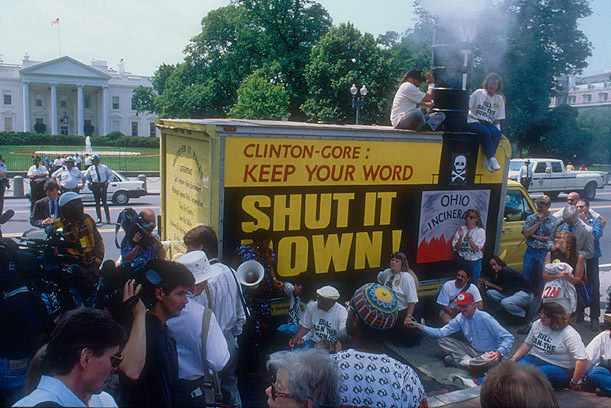 The taunts were aimed at Al Gore, who promised that the Clinton administration would shut down WTI. And the smoke pouring from the top of the stack unintentionally symbolized the smoke screen behind which the Clinton administration has betrayed the trust of these people, who believed Clinton and Gore would keep their word. The protest, which attracted national media attention, was intended to convince Clinton and Gore to fulfill the promise they made last December 6 to temporarily shut down WTI and launch a full investigation into allegations of permitting violations and health risks to the local community. The incinerator sits on the banks of the Ohio River within the flood plain, 400 feet from a dense residential neighborhood and 1,100 feet from an elementary school, in an area prone to air inversions that will trap toxic pollutants in the valley. Clinton and Gore gave the protestors no points for creativity, however. Not only have they taken no action against WTI, but they allowed the U.S. EPA to issue a permit for limited commercial operation on July 8. Some critics count this as simply another example of Clinton's political indecisiveness. But to local residents who can look out their windows and see the plume of toxins released from the incinerator's stack, it is literally a deadly betrayal. A year ago, Clinton and Gore sang a very different tune. In July, 1992, when they visited Weirton, West Virginia, on a campaign bus tour, Gore freely spoke out against the WTI incinerator. "The very idea of putting WTI in a flood plain ... you know it's just unbelievable to me," Gore told the crowd. "I'll tell you this, a Clinton-Gore Administration is going to give you an environmental presidency to deal with these problems. We'll be on your side for a change instead of the side of the garbage generators, the way [previous presidents] have been." Local opponents were elated. "We felt that this ushered in a new era in national politics," said Alonzo Spencer, an East Liverpool resident and president of Save Our County. "People here who were never involved in politics became active in campaigning for Clinton and Gore." Gore's announcement on December 7  seemed to verify his commitment to stop the incinerator. "Until all questions concerning compliance with state and federal law have been answered, it doesn't make sense to grant any permit," said the Vice President-elect in a press release. Among the unanswered questions addressed by Gore: Was the permit issued legally by the EPA? Is the incinerator safe for the environment and the health of the local residents? After years of name changes and buy-outs among the original owners, who now owns the facility, and who is responsible for its operation? These were questions that incinerator opponents had been raising for years. Finally, they thought, someone was listening. By March, however, WTI was burning toxic waste to test the facility, and Clinton and Gore, having answered none of these questions, had done nothing to stop WTI. Instead, they deferred to legal obligations from eleventh hour decisions made during Bush's last days, ostensibly preventing them from taking action. "First of all," said Gore at a "town meeting" on March 10 in Omaha, Nebraska, "the decisions relating to this particular permit were made principally and almost exclusively during the last administration and that incurred certain legal obligations toward the company that had invested tens of millions of dollars." After only two months in office, the environmentalist Vice-President was waxing apologetic for the hazardous waste industry. What happened? Did Clinton and Gore change their minds? Or are they really fulfilling legal obligations? Environmental consultant Lynn Moorer doesn't think so. "From the moment Gore and Clinton took their hands off the Bible, they could have revoked WTI's permit," she said. In a letter to Gore, Moorer cited federal laws and regulations that grant the U.S. EPA authority to revoke or suspend a hazardous waste permit at their discretion, at any time in the permitting process. "With respect to the handling of WTl," said Moorer, "the Clinton EPA is no different from the Bush EPA. They both blink at blatant violations of federal laws and regulations." On some points then, Clinton and Gore appear to have changed their minds. The question that WTl opponents are asking is not >why did they change their minds but who changed their minds?< Opponents have long referred to a driving force that has allowed WTI to begin operating despite over a decade of legal challenge and public protest. Hugh Kaufman, Assistant Director of the U.S. EPA Hazardous Site Control Division and whistle-blower of the Love Canal case, has worked with opponents in investigating WTI and helped them identify this force. "Follow the money," he told them. When they did, they discovered that the same man who founded the WTI project was also the largest financial backer of Bill Clinton's  presidential campaign. The money trail leads all the way to Little Rock, Arkansas, to the doorstep of billionaire investment banker Jackson Stephens, whose investment firm, Stephens, Inc., is one of the wealthiest outside of Wall Street. Stephens raised $100,000 in contributions for Clinton during his 1992 campaign. He also supplied a $3.5 million line of credit through Stephen's Worthen Bank, at a time when Clinton's campaign was starved for cash, according to the Philadelphia Inquirer. Though sold out his proprietary interest in WTI in 1990, Stephens arranged the $128 million financing for the incinerator through the Union Bank of Switzerland the sane year. The bank made the loan in anticipation that Ohio would issue tax-free municipal bond: as bridge financing to pay back the money until the incinerator began operating. Shortly after, when the state discovered that WTI had lied to them about their ownership, Ohio denied the application to issue the bonds, according to Kaufman. With no means to repay the loan until commercial burning began, WTI faced the threat of foreclosure. Union Bank never did foreclose, but it put WTI under more pressure to start burning waste as soon as possible. Stephens must have felt this pressure. Besides the percentage of profits that he probably earns from royalties, his reputation as a financier is clearly at stake if WTI is closed down. Besides financial brokering, Stephens also excels as a power broker. For decades, he and his brother Witt, who together built the family's investment empire, were recognized as kingmakers in Arkansas politics, and the most powerful members of the state's oligopoly of corporate interests. According to The American Spectator, Orval Faubus, Arkansas' segregationist governor in the '50s and '60s, remembered the two as the state's "most powerful single political force." In the 1970s, Stephens became a national political fund-raiser for both parties, and has had continual access to the White House since. He was a business partner of Bert Lance, Carter's controversial Budget Director, and was Carter's roommate at the U.S. Naval Academy in 1946. During the Reagan-Bush years, Stephens was a major contributor to the GOP. and his former wife, Mary Anne, served as co-chair for Bush's presidential campaign in Arkansas in 1988. In 1987, Stephens arranged the bail-out of a small Texas oil company, Harken Energy, from near bankruptcy. The bailout created a scandal for the Bush administration when uncovered by the Wall Street Journal in 1991. It seems Bush's eldest son, George W. Bush was a director and stockholder of Harken. During Bush's presidency, Harken won the rights to a potentially lucrative contract to drill offshore wells for the government of Bahrain, though Harken had never drilled either offshore or overseas. When Iraq invaded Kuwait, just before Harken's stock dropped drastically, George W. sold two-thirds of his stock for a significant profit. The Wall Street Journal speculated that the investors made the deal to cosy up to the President through his son. This was not the first time Stephens served as the catalyst behind a political scandal. The biggest controversy surrounding him involves what New York District Attorney Robert Morgenthau called "the largest bank fraud in world financial history." Morgenthau was referring to the Bank of Credit and Commerce International, a "criminal enterprise" that catered to drug smugglers, arms dealers and money launderers, and bribed bankers and government officials to gain power and money worldwide. Investigators have dubbed BCCI the "Bank of Crooks and Criminals International." Among those currently under indictment are Clark Clifford and Robert Altman, accused of receiving tens of millions of dollars from the corrupt bank for their part in its illegal schemes. Although Clifford and Altman are the most prominent figures in the BCCI scandal, it was Stephens and Bert Lance who were widely recognized as introducing BCCI to the U.S. banking industry. In 1978, Stephens and Lance brokered deals through which BCCI secretly acquired control of several banks in the U.S. Stephens, Lance and BCCI were indicted in the same year for violating U.S. securities laws when they attempted a secret takeover of First American Bankshares, the largest bank in Washington, D.C. These charges were later dropped with the defendants agreeing to obey securities laws in the future - which did not stop BCCI from secretly taking control of the bank four years later. Though Stephens' relationship with BCCI ended after their indictment, BCCI went on to systematically loot billions of dollars of deposits in banks they controlled and bilked thousands of American shareholders out of their investments before the bank collapsed in 1991. Stephens still maintained business relations with one of BCCI's partners, Union Bank of Switzerland - the bank which bailed out Harken Energy, and which lent WTI the money to build the incinerator. Five years ago, Stephens relinquished control of Stephens, Inc. to his son, Warren. Today, perhaps as compensation for his high-profile influence peddling, Stephens maintains a low public profile. Once a golf partner of Dan Quayle's, Stephens will never be seen jogging with Bill Clinton or hugging trees with Al Gore. But the political and financial ties that bind Clinton and Stephens, fellow Razorbacks, are the strongest by far that Stephens has made with any president. Besides funding Clinton's presidential campaign, Stephens has supported Clinton in every gubernatorial campaign as well as his run for attorney general. Thomas McLarty, White House Chief of Staff, is the former CEO of Arkla, Inc., Arkansas' largest natural gas utility, which Stephens owned until the mid 1980's and in which he still has a sizeable interest. Many other high-ranking members of the Clinton administration represented Stephens while partners of Rose Law Firm in Little Rock, including Vincent Foster, deputy White House counsel, William Kennedy, associate White House counsel, Webster Hubbell, associate Attorney General, and Hillary Clinton. To further consummate the relationship, their former boss, Rose Chairman Joseph Giroir, who hired them and made them partners, is the former director of the Stephens family's Worthen Bank. Stephens has never been accused of wrong-doing in connection with WTI, nor is there any evidence that Clinton has ever acted under Stephen's advice during his administration. The only evidence lies in what Clinton and Gore have and have not done since their inauguration. Though Gore did authorize a federal investigation, whose results are not expected to be released before the end of the summer, they have never fulfilled their promise to stop WTI. In fact, Clinton and Gore announced in April, when the incinerator began operating on a commercial basis, that they would not block its operation. Two weeks ago, they allowed the U.S. EPA to issue the permit for commercial hazardous waste incineration. Nor has Clinton restructured the EPA to reflect any change in policy on WTI from the Bush years. After taking office, Clinton fired and replaced all regional directors of the EPA except one - Region V director Valdus Adamkus, under whose jurisdiction WTI falls. Adamkus has been responsible for issuing every federal hazardous waste permit to WTI. Since her confirmation bearings, EPA Director Carol Browner disqualified herself from WTI- related decisions because her husband works for a national environmental organization [Citizen Action] whose state affiliate in Ohio is involved in the issue - at best a tenuous conflict of interest. Instead of choosing a neutral party to act on her behalf in the public's interest, however, Browner chose someone with strong ties to the chemical industry. She appointed deputy Administrator Robert Sussman as public liaison on the WTI case. Sussman, it turns out, is a former attorney for the Chemical Manufacturers Association, where he represented the interests of Dupont, BASF and other chemical giants who are the largest toxic waste producers in the country. Sussman was hand-picked for the administration by Hillary Clinton. After stacking the EPA's deck in WTI's favor without removing the jokers, Clinton gambled away the future health of tri-state residents by refusing to even acknowledge that the incinerator had failed its test burn in March. The EPA reported that WTI emissions of mercury, dioxin and carbon tetrachloride exceeded federal limits. Clinton subsequently gained the dubious distinction of being the first president whose EPA issued an operating permit to a toxic waste incinerator that had failed its trial burn. Opponents contend that Clinton's EPA not only has the authority to shut down but the legal obligation to do so. They point to a massive body of evidence that proves that WTI's permit is invalid, including an illegal air permit, an incomplete permit application and alterations to the permit by WTI's lawyer Charles Waterman, who at one point whited out the issuance date on the permit and wrote in a new one, according to Hugh Kaufman. The incinerator no longer even has a legal owner, according to Ohio Attorney General Lee Fisher. Fisher's office released the results of an investigation of WTI on June 30, concluding that the original permit was issued in 1983. The investigation, which lasted two years while Fisher's attorneys searched through a labyrinth of name changes and ownership transfers, gives credence to opponents' claims that the owners of the facility have engaged in an elaborate corporate shell game to intentionally disguise their own identities in the event of an accident. This pattern of confused ownership is exactly what the SEC alleged was central to the indictment of Stephens and BCCI in 1978. Moreover, since the current owner of WTI - Von Roll America, Inc., a subsidiary of a Swiss engineering firm - is not the same entity to which the original hazardous waste permit was issued, Von Roll has no legal permit to operate the facility. Clinton's EPA, however, took none of these illegalities into account. A week after the Attorney General released this report, the EPA issued WTI a permit for limited commercial operation. Clinton's EPA has continued the legacy of past administrations concerning WTI, critics claim. "The EPA has done everything they can to permit the incinerator," said Terry Swearingen, director of the Tri-State Environmental Council. "They've done everything they can to work hand in hand with WTI, regardless of the law." Hugh Kaufman expressed a more sweeping indictment of the EPA. "Everyone involved with issuing WTI's permit to burn toxic waste is potentially liable for criminal prosecution," he said. Kaufman, a former investigator with the EPA, added that, "WTI is the best white collar crime case I have ever seen." The protestors, for their part, will continue fighting. Over a hundred, including local members of Pittsburgh Against Toxic Incineration, showed up again last week in Washington, D.C. - this time in front of the Swiss Embassy, where 23 were arrested for blocking the embassy's entrance. One of the arrested, Alonzo Spencer of East Liverpool, said, "We will go anywhere, appeal to anyone to stop the illegal burning of toxic waste at the WTI/Von Roll incinerator." They have already proved that, indeed, they will. Clinton and Gore will probably lose very little. At worst, a few critics will count them among the ranks of past administrations who compromise their morals by playing stooge to corporate interests. Certainly, many tri-state residents who had faith in Clinton during the campaign no longer view him as a "people's president." To them, Clinton and Gore's broken promise will remain over their heads like a toxic cloud. "This country trumpets to the world how democratic It is, but's it funny that I come from a community in which our President dare not visit because he cannot witness first hand the injustice which he has allowed in the interest of a multinational corporation, Von Roll of Switzerland. And the Union Bank-of Switzerland. And Jackson Stephens, a private investment banker from Arkansas. These forces are far more relevant to our little town than the President of the United States!! ..."
Statement by Terri Swearingen in accepting the Goldman Prize for North America on April 14, 1997. Terri was awarded the prize for her work in fighting the building and operation of Von Roll's hazardous waste incinerator, known as WTI, in East Liverpool, Ohio. Jackson Stephens: The man and the myth. Among the many distinctions afforded Arkansas billionaire tycoon Jackson Stephens is the fact that his firm, Stephens Inc. marshaled the WTI hazardous waste incinerator's march from conception to birth. In our opinion, it was the power of his financial empire that moved a poorly designed monstrosity on the Ohio River from the truly dumb idea that it was (and is) to its current manifestation as an ugly and dangerous reality. In an attempt to understand why the U.S. government, particularly U.S. EPA Region 5, committed so many illegalities and allowed this incinerator to be built, it helps to understand that Jackson Stephens always gets what he wants. In fact, no matter what you think about him, it is hard to deny that he seems to be everywhere, with his hands on everything. Stephens is the chairman of Stephens Inc., the nation's largest investment bank off Wall Street. Its home office is located in little ol' Little Rock, Arkansas. He and his brother, Witt, built the Stephens Inc. empire out of a bible, belt buckle and bond business. In 1994, Stephens Inc. was listed as one of the biggest institutional shareholders in 30 large multinationals including the Arkansas based firms Tyson Food (# 10), Wal-Mart (# 113) and Alltel (# 12). Interestingly, it was Stephens who staked Sam Walton when he started Wal-Mart in 1970, and financed Tyson's takeover of Holly Farms in 1988. (Stephens, Tyson and Walton (1917-1992), all billionaires from Arkansas.) Stephens sold a 275 phone exchange to Alltel when they broke into the phone market, and guaranteed in 1990 that Alltel would get Systematics by refusing to sell his 10% stake in Systematics to anyone but Alltel. In many ways Arkansas is the house that Jack built. Unfortunately, for the folks in East Liverpool, Ohio, and the Tri-State area (WV, PA, OH) who were saddled with Von Roll's hazardous waste incinerator, Arkansas was never big enough for Stephens. According to the Ohio Attorney General's report on WTI in 1993: "It was 'Waste Technologies, Incorporated' in the late seventies, a group of companies owned by Jackson Stephens of Little Rock, Arkansas that became interested in the possibility of developing industrial waste incinerators which could be used to generate power. One of the Stephens companies commissioned Battelle Memorial Institute to do a survey of industrial waste generation patterns in the United States. The Battelle study was finalized in 1978. After the study was complete, the Stephens-owned company (known then as Waste Technologies, Incorporated) hired Don Brown, who had worked on the study during his employment at Battelle. Don Brown helped make the decision that the eastern Ohio area was a feasible site for such an incinerator, based on the nationwide waste generation patterns study. Brown was from East Liverpool and had contacts to local officials there. In late 1979 or early 1980, Don Brown approached the Mayor of East Liverpool, John Payne [his former college room-mate, ed. ], about the idea of locating a waste-to-energy incinerator in the area. Mayor Payne referred Brown to the Columbiana County Port Authority ..." upon whose land the incinerator would later be built. So with the financial backing of Jackson Stephens and his company, the WTI incinerator was launched in traditional business fashion: wheeling, dealing and brazen political fixing. Jack Stephens has a unique flair for wheeling and dealin". After all, you don't get to be one of the wealthiest people in the nation without being good at it. Of course it also pays to be in the right place at the right time. In 1946 he graduated from the U.S. Naval Academy with Jimmy Carter. Adams & Frantz go so far as to claim that Carter and Stephens were roommates at the Naval Academy (A Full Service Bank, 1992). 30 years later, President Carter's friend Bert Lance, the man Carter had picked to run the Office of Management and Budget, was in trouble. Lance's dealings with the National Bank of Georgia (NOB) were being questioned on Capitol Hill because of allegations that he had received favorable loan treatment from the bank as an insider. In August 1977, Stephens arrived on the scene and introduced Indonesian business tycoon Mochtar Riady to Bert Lance. At the time, Riady was set to buy Lance's 200,000 plus shares of National Bank of Georgia stock (Associated Press, August 20, 1977). On February 7, 1992, New York Post reporter, Mike McAlary reported that Jackson Stephens "brokered the 1970s deals in which BCCI officials secretly acquired control of two American banks... The banks -First American Bankshares and the National Bank of Georgia were used as a financial clearinghouse by a collection of [the] world's most dastardly crooks, drug dealers, dictators and spies....and yet Stephens' ties to principals in the scandal continue to this day....Lance and Stephens are reported to have made a fortune as a result of their involvement with BCCI." Robert M. Morgenthau, District Attorney, County af New York, stated on July 29, 1991 that "BCCI was operated as a corrupt, criminal organization, throughaut its entire nineteen-year history. It systematically falsified its records. It knowingly allowed itself to be sued to launder illegal income of drug sellers and other criminals and it paid bribes and kickbacks to other public officials (Evil Money, Encounters Along the Money Trail, Rachel Ehrenfeld, 1992)." In October, 1992, the Senate Foreign Relations released an 800-page report on the BCCI collapse. They argued that BCCI activities represented an "international financial crime on a massive and global scale," and that the bank "systematically bribed world leaders and political figures throughout the world." In his own defense, Stephens wrote in the Wall Street Journal that "neither I nor anyone at Stephens played any role in bringing BCCI to America nor did we play any role in persuading them to buy shares in Financial General. BCCI representatives were introduced to me as representing a third party client. We opened a brokerage account on behalf of these individuals. We were paid normal brokerage fees for our services. Our contact was brief and ordinary course (Wall Street Journal, November 18, 1992)." In response to the concerns over Jackson Stephens' involvement in BCCI, the Ohio Attorney General noted in his 1993 report on WTI's ownership: "Stephens' name has been linked to securities violations that allegedly occurred when the Bank of Commerce and Credit International (BCCI), a foreign bank dominated by Pakistani financier Agha Hasan Abedi, acquired stock and control over the Washington-based First American Bank. This is an error by the Ohio Attorney General. The bank, as noted, was actually called Financial General Bankshares.] Because Stephens no longer owns a part interest in WTI, his alleged involvement in the BCCI affair is not relevant to the reliability of the current owner" (page 37, footnote 4). But the Attorney General's investigation didn't look into the financing of Von Roll's incinera¢or by the Union Bank of Switzerland (UBS), which was connected to BCCI through joint ownership of Luxembourg based Banque de Credit et de Placement (Reuters, July 8, 1991; Financial Times, July 9, 1991). Writing about Von Roll's current owner, the United Bank of Switzerland, and its relationship with BCCI, James Ring Adams notes, "You can spin threads from that web for as long as you like (American Spectator, October, 1992)." Spin threads, indeed! Documents filed in Florida by the Government of Panama indicate that General Manuel Noriega used BCCI during the 1980's to funnel money to UBS that he had apparently stolen from the Panamanian military (The Independent, U.K., August 14, 1991). By 1987, Noriega had become a thorn in the side of the U.S. administration and anyone (except Jessie Jackson) who could help get rid of Noriega was apparently just fine. Once again, there was Jack Stephens. Gabriel Lev' is a Panamanian entrepreneur, and formerly Panama's ambassador to Washington, had Jackson Stephens as his banker. Joel McCleary was an American political consultant who had been the youngest treasurer of the Democratic National Party. McCleary was a protege of Hamilton Jordon, and a deputy assistant for political affairs to Jimmy Carter. McCleary went to Panama in 1983, when Jordan's friend Gabriel Lewis sought help in running the ruling party's presidential campaign. In the mid-1980s both Lewis and McCleary fell out of favor with Noriega, and both wanted Noriega ousted. When Lewis, in Panama, felt that his life was under threat by Noriega he called his "banker, Jackson T. Stephens, in Little Rock, Arkansas, who was desperate to get his friend and client to safety...Stephens phoned his former classmate at the Naval Academy, chairman of the Joint Chiefs of Staff, Admiral William Crowe. Stephens asked Crowe to help get Lewis out of the jam. Crowe phoned the Southern Command, and within minutes General Woerner sent over a black-paneled truck with some plainclothes bodyguards to protect Lewis and help him escape Panama...(Divorcing the Dictator: America's bungled affair with Noriega, Frederick Kempe, 1990)." "In September 1987 Lewis wanted to bring McCleary back into Panamanian affairs, this time with a brief to destroy his former employer.... Lewis had decided he could get rid of Noriega only with the military's help. McCleary had the contacts and knowledge he needed to pull it off. Again, Lewis's American banker, Jack Stephens, for whom McCleary had done work in the past, helped bring the two together..." They worked out of Washington DC. "By spring of 1988, American foreign policy makers all agreed Noriega had to go..." George Bush (and Elliot Abrams) wanted Noriega ousted. Noriega was strong and he was buying intelligence from CIA agents while he was on Bush's CIA payroll. In August 1988 Noriega said, "I've got Bush by the balls." According to Kempe, "the threat [was] that Noriega might reveal much of what he knew: he had many of the administration's secrets (Overthrowing the Dictator by Frederick Kempe)." He was finally ousted from power in 1989 when the U.S. invaded Panama. He was convicted of narcotics trafficking in 1992 and is serving a 40 year sentence in prison near Miami. As described above, Jackson Stephens was close to Jimmy Carter and several people in his cabinet and coterie of political cronies. But Jack Stephens is also well known for playing both sides of the fence. In 1991, Jackson Stephens contributed $100,000 to the Republican Party for Bush's presidential campaign, and Stephens Inc. "kicked in another $100,000." Stephens wife was the Arkansas co-chairman of the Bush for President campaign. (Wall Street Journal, December 6, 1991.) He and his wife were hosts to the Inaugural party for President Bush in 1989. (New York Times, Ma, 8, 1992.) In addition, Stephens brokered the deal that allowed the Union Bank of Switzerland (as mentioned above, a BCCI-connected bank, that also financed and ultimately owns the WTI incinerator project) to rescue a Harken Energy project that George Bush Jr. (son of President Bush) was involved with in 1987. When Harken needed help, Stephens was there. A meeting in Little Rock was set up "between Harken officials and Jackson Stephens that produced an unusual rescue plan. Mr. Jack obtained a $25 million cash infusion for Harken from Union Bank of Switzerland, which rarely invested in small American companies (The American Spectator, October, 1992)." Jackson Stephens was a major donor to Bill Clinton's campaigns for Governor and raised at least $100,000 for Bill Clinton's first Presidential campaign (Seattle Times, November 6, 1993) while extending $2 million to the campaign through Stephens and Riady's Worthen bank (The American Spectator, October, 1992). He has been the major financier of Bill Clnton's political career. According to Peter Truell and Larry gurwin, "No group raised more money for the Clinton Presidential campaign" than the Stephens Group. "A study released in July found that employees of Stephens Inc. gave more money to Clinton than employees of all but two other firms in the entire country (False Profits. The Inside Story of BCCI, the World's Most Corrupt Financial Empire, by Peter Truell and Larry Gurwin, 1992)." Rachel Ehrenfeld argues that "Bill Clinton had full knowledge of Stephen's involvement with BCCI when he accepted hundreds of thousands of dollars from the Stephens family for his campaign (Evil Money)." This is where things get complex. Jackson Stephens, as noted above has been partners with an Indonesian Tycoon, Mochtar Riady*. His son, James Riady was a co-president of Worthen Bank (Federal News Service, July 17' 1997). In 1994, Stephens' family interests owned approximately 55% of Worthen bank's outstanding stocks (Worthen proxy, March 29, 1994). Worthern provided the Clinton campaign with a $2 million dollar financing deal that basically saved the Democratic National Party from a cash shortage in the early 1992 Presidential campaign (The Spectator, October 1992). The Riadys own a company called The Lippo Group*. According to William Safire, Lippo's ties to Jack Stephens enabled them to receive sensitive trade secrets from out of the Clinton Administration through Lippo employee, John Huang*, who also worked in the U.S. Department of Commerce as a Clinton employee. The kicker was that Huang would go across the street from his Commerce office to use a Stephens Inc. business office as a "drop" to receive and send documents and make off the record phone calls. "At informative Thompson committee hearings last week, we learned that Huang, Lippo's man at Clinton Commerce, received a call on the average of twice a week from a secretary at the Stephens drop who was instructed not to leave her boss's name. Huang would then cross the street to pick up and send express packages and use the Stephens phone. We know that Huang spoke to former Lippo associates at least 237 times in his 14 months at his sensitive trade post. 'That number troubles me' said Senator Joseph Lieberman. As a registered nurse and mother, Terri Swearingen, 40, knows a little something about persistence. For the last two decades, she has been making thousands of calls and speeches, conducting health surveys, appealing to Environmental Protection Agency (EPA) officials, pleading with the President, and making trouble for Waste Technologies Industries (WTI). Swearingen's goal is nothing less than shutting down one of the largest toxic waste incinerators in the world, which was built in her hometown of East Liverpool, Ohio. She now lives just a few miles away in Chester, West Virginia with her husband and teenage daughter. ENVIRONMENTAL GRANTS BENEFIT LOCAL GROUPS, SHCOOLS FOR NINTH CONSECUTIVE YEAREAST LIVERPOOL, Ohio - Von Roll WTI distributed a total of $3,700 in environmental grants today to representatives of 16 local groups. The grants, ranging in amounts from $600 to $100, will be used to fund environmental projects in the community by deserving youth and community groups. "This year is ninth year for the program," President John Peterka said. "Since its inception in 1998, we have distributed more than $25,000 to local organizations for projects that benefit our environment." The grants were awarded during the company's tenth annual free collection of household hazardous waste for local residents. $600, Second Baptist Church - Clean up and plant bushes and trees along a local creek. $500, Shining Reflections Vocational Training - Provide a community-wide site to collect and recycle old computers. $400, East Liverpool YMCA - Sponsor Carnegie Science Center Road Camps in East Liverpool. $300, East Liverpool/Calcutta Garden Club - Assist nursing-home residents to plant flowers and vegetable gardens at their homes. $250, North Elementary Kindergarten - Purchase books to learn about the environment. $250, McKinley Fifth & Sixth Grade Science Club - Create a habitat for butterflies and birds. $200, Covenant Playground Task Force - Create a butterfly garden at a local playground. $200, Community Resource Center - Clean up and planting project at the center. $150, East Liverpool High School Alumni Association - Plant trees and other landscaping needs near the alumni building. $150, Lisbon Montessori Preschool - Purchase flower boxes and microscope to continue butterfly studies funded by grant in 2005. $150, Wellsville Local Schools - Purchase Earth Day shirts for kindergarten students. $150, Friends of Thompson Park - Purchase and install houses for purple martins. $100, Girl Scout Troup 808 - Plant flower garden at a nursing home. $100, Lisbon Baseball Association - Fund landscaping project at the fields. $100, North Elementary - Study life cycles of insects. $100, Girl Scout Troop 727 - Plant flowers at Thompson Park. THOMPSON PARK, East Liverpool, Ohio - With representatives of 12 public and private organizations standing in support, East Liverpool Mayor Jim Swoger officially launched the city’s annual environmental project during a news conference today. “I am extremely pleased and honored to announce that East Liverpool’s cooperative environmental project continues for the eighth consecutive year,” he said. Mayor Swoger noted that citySweep has grown steadily since its inception. The project, which began in 1999 with six sponsors, now has the backing of 12 local organizations. “Potters Leading Other Youth is the new organization I would like to welcome this year. This group was formed recently at the high school to build leadership skills and community service among its member students,” the mayor said. A popular event is the collection and environmentally responsible disposal of household hazardous wastes and used motor oil. Residents are invited to take their old paints, cleaners and other household chemicals to Von Roll WTI, which is sponsoring the collection for the tenth consecutive year. Wallover Oil will be there also to recycle used motor oil.